An unlikely match made in heaven. Raspberry and lemon verbena are an unlikely match made in heaven. This syrup is as good poured over ice cream as it is in our cocktails and mocktails! 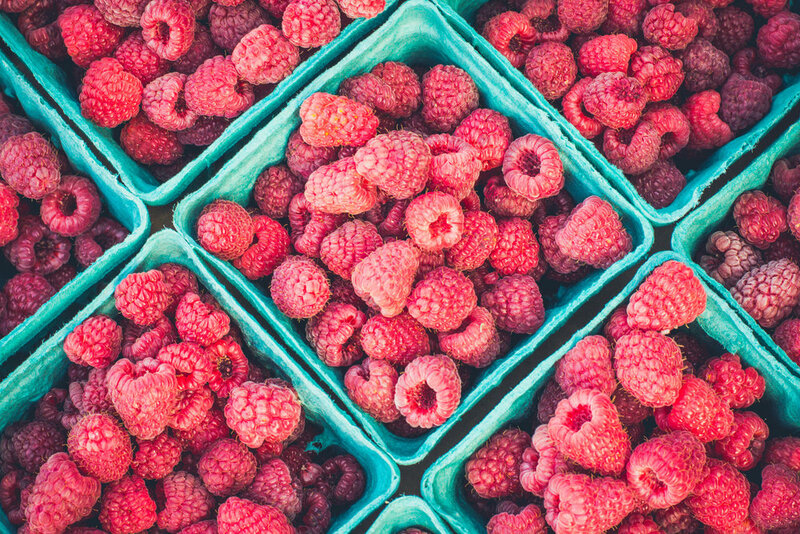 If you have a deep freezer, make this during raspberry season and freeze. If, however, you're like me and have very little freezer space, you'll have to drink this quick because it only survives in the refrigerator for about two weeks. It's worth it though!. Stir water and sugar together in a non-reactive pan over low heat until dissolved to make the simple syrup. Once it begins to boil, add raspberries and lemon verbena. Stir and let boil until the raspberries have burst and the syrup has taken a nice red color. Strain the syrup while still hot and funnel into sterilized jars and seal. Store in the refrigerator for up to two weeks. Note: This recipe was adapted from the one in Wild Cocktails From the Midnight Apothecary by Lottie Muir. It's an amazing book and I highly recommend it!